Happy weekend everyone! This week is all about the LA Dodgers, the reigning NL West champions. After losing Zack Greinke to the division rival D-Backs and seeing the divisional rival Giants add two of the best free agent pitchers on the market, the Dodgers find themselves in an unfamiliar position; they are no longer the obvious favorite in the West. In this article, I will predict their final record, where they finish in the standings, while discussing key hitters, their projected lineup, pitching staff and a couple of their top minor league prospects. The regular season is just about three weeks away and I don’t know about you, but I could not be more excited. He is recovering from left shoulder surgery. However, he’s expected to be ready for opening day and should be the every day catcher for the Dodgers. His power has really started to show itself over the last two seasons and it wouldn’t be surprising if he reached 20+ this season. He is likely in the middle of the pack when it comes to catchers in fantasy, but that may allow you to get him at great value come draft day. He is great behind the plate and manages the pitching staff very well. Needless to say, Grandal’s overall production both offensively and defensively will play a major role in how much success the Dodgers have in 2016. Adrian is one of the most consistent hitters over the last decade. It seems like anywhere he’s ever played that he’s been the player that the team leans on to drive in runs. He has the ability to make all the other hitters around him better. He will hit 25+ HR, drive in 90+ runs, score 80, hit .285 with a .350 OBP in 2016 and will play in over 150 games. He is still a top 10 1B in fantasy and is very reliable, no matter where you end up drafting him. The Dodgers made a decision late in the offseason to bring Kendrick back for another year. Although he has never really been a superstar at the 2B position, he has been a model of consistency. He always hits for a high batting average, gets on base and can hit all over the lineup. He will give way to Chase Utley every now and again but barring any significant injury, Kendrick will see the bulk of time at 2B in 2016 and is a lower level option for your fantasy roster. He wont help you much, however, he definitely wont hurt you either. He is the top prospect in MLB and in his small sample size in 2015 he showed exactly why that is. In 27 games, Seager hit .337, with 4 HR, 17 RBI, 17 R, had 33 hits and an amazing .425 OBP. He will get his first opportunity in 2016 to be an everyday player at the big league level and I expect the 21 year old to be named NL ROY. He will likely be taken very highly in drafts so unless you want to reach for him early, you likely will not have the chance to draft him. In dynasty and keeper formats, don’t be shocked if you see him go in the first three rounds. 2015 was another stellar season for Turner and since joining the Dodgers back in 2014, he has completely turned his career around. He is expected to hit third in the Dodgers lineup this season which will provide him with plenty of run scoring and run producing opportunities. He set a career high in HR’s in 2015 with 16 and although that is more than double his previous career high of seven, it is no secret that many players don’t develop their power until later in their careers. Turner seems to fit that bill as well and 2016 should be another very productive season for the 31 year old. For a while, it seemed like Carl Crawford was going to be the starting LF for the Dodgers entering 2016, yet it now appears that new Manager Dave Roberts has made the right decision in allowing Ethier to claim that spot. He is 33-years-old but he still managed to play in 142 games last season, even with the crowded and very deep outfield talent in LA. He is far removed from his phenomenal season back in 2009, but with a chance to play almost every day in 2016, Ethier may prove to be a value pick in your drafts and a player who can contribute in all of the major offensive categories. He is a low end 4th OF option and a high end fifth OF. He got off to a crazy hot start in his rookie season in 2015, but when the pitchers caught up with him, he was unable to make the necessary adjustments. He is the typical power hitter, low batting average, high strike out total, 25+ HR and a great OBP. In 2016, look for him to improve upon his dismal .210 BA which will also improve his RBI total (54 in 2015) which was relatively low when you consider that he hit 26 HR. He is a great defender in CF and the only true CF on the Dodgers roster, which will benefit him even if he struggles at the plate. The physical talent is clearly here. Puig has the abilities to be one of the best and most dynamic players in MLB. The question surrounding him is his mental state. Baseball is a game where your mental stability is almost as important as your physical attributes. With that being said, I believe that Puig will bounce back in 2016 and a lot of that will have to do with his new manager Dave Roberts. Nothing against former manager Don Mattingly, but Mattingly is a very passive style manager, not confrontational and he never seemed to get the most out of his players during his tenure in LA. Puig should return to all-star status and you may even see him fall in drafts due to his porous 2015 campaign. Everyone knows this guy. He is arguably the best starting pitcher in the game today and gives the Dodgers a chance to win every time he takes to the mound. He is the anchor of any fantasy rotation he is in and will definitely be the first or second pitcher off the board. He contributes across the board and is always in the NL Cy Young award conversation. He has been one of the more durable pitchers throughout his career as well, something that definitely shouldn’t be taken lightly with all the injuries that pitches endure. In my opinion, this guy is one of the most underrated pitchers around MLB. He came up as a young stud with the Rays and later suffered shoulder injuries that held him out of baseball on and off. He re-established himself with the Indians a few years back and has really impressed ever since. He pitched great with the A’s last year and was a huge part of the Astros pitching staff in the second half of the season. He should be poised for a terrific 2016 with the Dodgers and should be drafted in all formats. I think he will fly a bit under the radar as well, so you can likely get him at great value on draft day. He is new to MLB, however the Dodgers obviously liked what they saw from him in his time in Japan. He is a bit of a risky player in fantasy because of the unknown, however he is joining a ball club that is loaded with talent and plays in a ball park that is pretty kind to pitchers. He should have no problem getting wins and he will likely be available in the latter parts of your draft. Ryu will be out until the beginning of May and missed all of last season due to injuries. He is a risky choice on draft day because of that, however, his two full MLB seasons in 2013 and 2014 were very productive. He won 14 games in each season, threw over 150 innings both times and has a career ERA of 3.17 in 344 career innings. If he is able to come back and stay healthy, he will provide you with a low risk high reward type of option. He may be forgotten by some because he missed all of 2015 which means you can likely get him at great value. He had a rough go of it when he arrived in LA after being traded there from Atlanta at last years trade deadline. His 4.35 ERA with the Dodgers was well above his career 3.30 ERA. Due to injuries in the rotation, Wood will get the chance to prove himself to the Dodgers and fantasy owners in 2016 and could be a nice little sleeper pick late in drafts. Look for him to pitch more like his 2013 and 2014 self rather than the guy we saw in the second half of 2015. Like Wood, Avilan struggled mightily after his trade from Atlanta to LA. His 5.07 ERA during that time is significantly higher than his career average of 2.96. At this moment, he is slated to be the set up man for Kenley Jansen and is valuable in formats that reward Holds and Inherited Runners Stranded. It is worth noting that if something happens to Jansen, there is no guarantee that Avilan would take over the closer role. Jansen has been one of the leagues most dominant closers since his call to the big leagues back in 2010. He is as consistent as they come and can rack up strikeouts with the best of them. He does have a heart condition, that for now is in check, however, there is always a risk of a set back which of course could lead to you losing your closer for an extended period of time. Hopefully, for his sake and the Dodgers sake, he will remain healthy and be a solid contributor to the Dodgers and your roster. This is a kid to watch out for in years to come. He is only 19-years-old, but has already shown the ability to strike hitters out at an impressive rate. He has averaged a K per inning in his minor league career and once he hones his skills a bit more, he has the makings of a future ace in MLB. De Leon is 23-years-old and is on the cusp of being called up to the majors. He struggled with his command early on in his minor league career but has been able to to really improve in 2014 and 2015. He strikes out more than one per inning and should see time in the big leagues this season, even if its a bullpen role. Thanks for reading. Next week I will be discussing the Oakland Athletics. 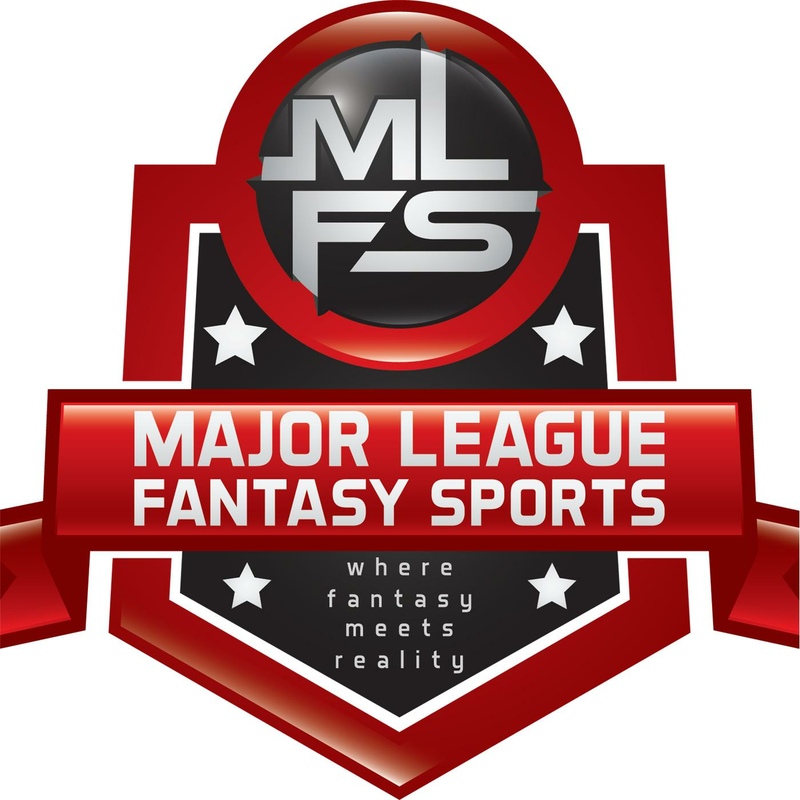 Don’t forget to tune into Major League Fantasy Baseball Weekky every Thursday night at 8pm EST. You can follow me on Twitter @In_Lou_Of. Have a great week!